Nuclear-powered jet test stand. 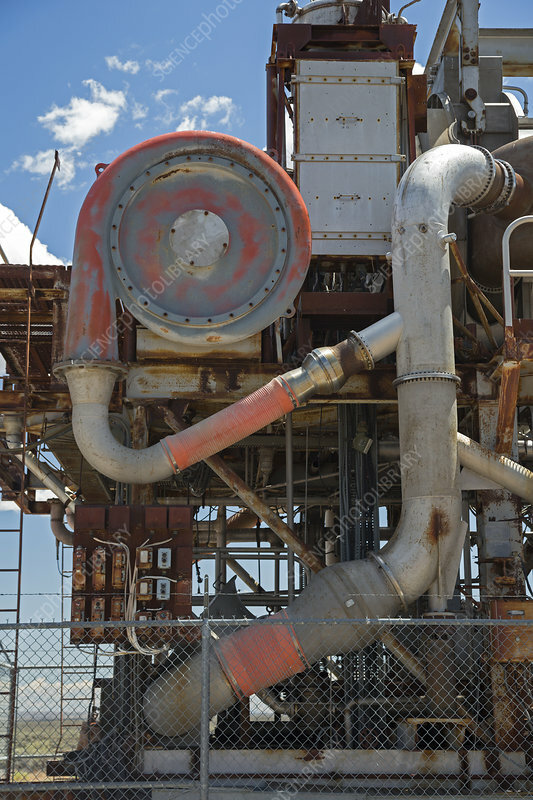 Test stand for a nuclear-powered jet bomber engine that the US Air Force tried to develop in the 1950s. Flight plans called for avoiding populated areas due to the radiation hazards, but President Kennedy cancelled the program before the bomber ever flew. The test stand is housed at the EBR-I (Experimental Breeder Reactor No. Arco, Idaho, USA, which has been turned into a museum. Photographed in July 2015.